The Tour de France is not the only event that’s going to be rocking Corsica this summer – shift those bikes, here’s Calvi on the Rocks! 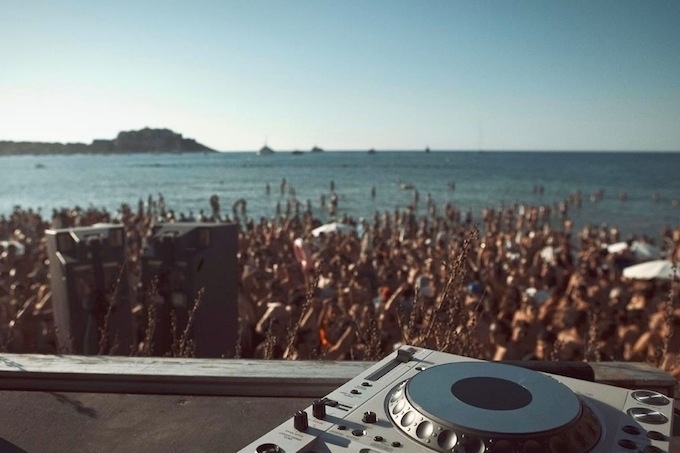 Now in its 11th year, Calvi on the Rocks is a music festival that appeals to so many people on so many levels. Each incarnation offers so much to the festival-goer, between chilling on the beaches during the day or hitting it hard at the gigs by night. One of the not-to-be-missed summer festivals, where better to enjoy some of the biggest names in the world of electronic music and discover some new ones than in beautiful Calvi? The festival opens with a great lineup including Midnight Juggernauts, Jagwar Ma, Isaac Delusion, Mai Lan, and Benjamin Clementine all taking to the stage on Friday, 5th July. Saturday, 6th July welcomes another impressive array of artists with Gramme, Midnight Magic, Blackstrobe, Tahiti Boy, and High Angle Shot on hand to entertain the gathered masses. The weekend rounds off with Mulatu Astatke and Kalabrese & The Rumpelorchestra performing on Sunday, 7th July. The new week starts off on Calvi with the sounds of Jamie Lidell, dOP, and Studio Paradise on Monday, 8th July. The festival comes to an end on Tuesday 9th July with Danish producer and multi-instrumentalist Trentemøller in the spotlight. Tickets are available online via the Calvi on the Rocks Facebook page but you will need to act fast! The festival runs from Friday, 5th to Wednesday 10th July, and all performances take place in the Théâtre de Verdure in Calvi. And don’t forget to book those ferry tickets!